Floyd Mayweather’s protege and boxing superstar Gervonta Davis brutally knocked out Hugo Ruiz in the first round to successfully defend his IBF super-featherweight title at the Dignity Health Sports Center in Carson, California. The 24-year old star from Baltimore hit the Mexican with a big straight right and then dropped him with a crushing right hook and ultimately referee Jack Reiss had to step in and stop the fight. Ruiz suffered a broken nose in the process. 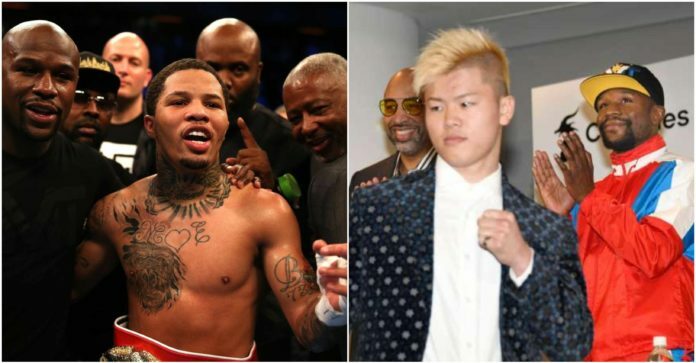 After the fight, Floyd Mayweather Jr said that Baltimore native Gervonta Davis will travel to Japan in April to fight Kickboxing sensation Tenshin Nasukawa in an exhibition bout. “Yes, he’s fighting Tenshin in an exhibition bout in Japan. 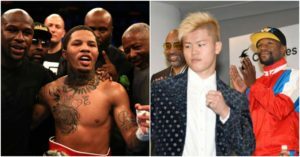 Floyd Mayweather has already beaten the Japanese Kickboxer on New Year’s Eve. Floyd dropped Tenshin three times in the opening round as the Japanese’s corner threw in the towel and Floyd won the fight via TKO. It’s unclear as to why Davis will be fighting a kickboxer and if RIZIN FF will allow their star to get further humiliated in front of millions of viewers worldwide. VIDEO: Floyd Mayweather DESTROYS Tenshin Nasukawa within 1 round!